A limited edition of 3000 numbered box sets. A secret agent resigns, then wakes up to find himself imprisoned in 'The Village' - a bizarre community with a cheery veneer, but an underbelly of mystery and threat. All occupants of The Village have numbers instead of names, with our secret agent forced to accept the mantle of Number Six. The authorities running this Village are intent on discovering why Number Six resigned - but it's a secret he steadfastly refuses to divulge. As the drama unfolds, the authorities, in the guise of the sinister Number Two, try ever more ingenious and aggressive means to bend Number Six to their will. All the while, Number Six is intent on two aims: to escape and to find out 'Who is Number One?'. A failed meeting in Belgium catalyses Agent ZM-73 to resign from his top secret post, but when he wakes the following morning everything has changed - even his name. 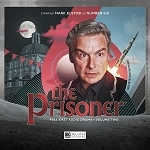 Trapped in a bizarre coastal village, and with his every move monitored by the mysterious Number Two, the man now known as Number Six struggles to make sense of it all. Six finds himself fascinated by a strange bond which has suddenly developed between himself and Number Nine. But the next morning, Six wakes to find himself changed. A moustache, different hair, and... a new name. Number Twelve. A new prisoner arrives in The Village. The woman is strong-minded, independent, and refuses to accept her new number - Eight. She is not a number, she is Nadia. And Six is convinced that she is his ticket out of The Village. 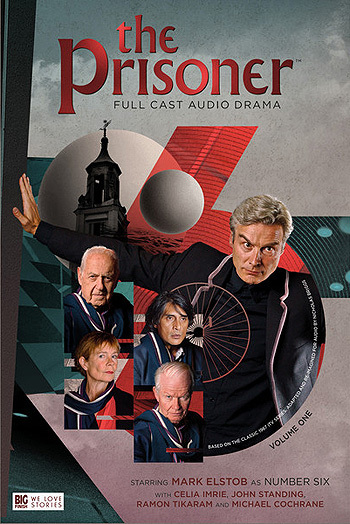 This set contains four episodes (two 78-minute, feature-length and two hour-long episodes), a Behind-the-Scenes audio documentary, and a lavish colour booklet. Mark Elstob (Number Six), John Standing (Number Two), Celia Imrie (Number Two), Ramon Tikaram (Number Two), Michael Cochrane (Number Two), Sara Powell (Number Nine), Helen Goldwyn (Village Voice), Sarah Mowat (ZERO-SIX-TWO), Jim Barclay (Control/Old Captain/Cobb), Barnaby Edwards (Number 34/Danvers/Butler), Jez Fielder (Number 17), Kristina Buikaite (Number Eight) with Nicholas Briggs (Conductor). Other parts played by the cast.